If you or someone you care about was arrested on a drug charge, please call SCV Bail Bonds right away. We’re experts on posting professional bail bonds for any drug charges and can help you get your loved one out of jail and home to you. For immediate drug charge bail bonds information, call SCV Bail Bonds anywhere in California, at toll-free, 877-422-4591. 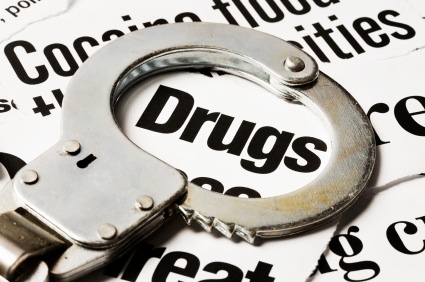 Drug charges are often involved, serious offenses, which can result in some jail time. If an arrestee is caught with drugs, he/she may be charged with intent to distribute in addition to possession. But sometimes, people can be arrested without proper search warrants and without evidence that the drugs in question belong to them. Occasionally officers can misinterpret California laws regarding the appropriate ways to search and seize. Whatever your situation, we are not here to judge. We only want to help you in your time of need by bailing out the accused, so they can prepare for their day in court. You will probably need to speak with an experienced criminal defense attorney regarding your drug case. However, before that can happen your loved one should be bailed out of jail. This will allow them time to hire an attorney, take time off of work or school and make family preparations. It also allows them to show up for court appropriately dressed in a suit and tie, or skirt and jacket, versus a “bright orange” county jail jumpsuit. That is where we come in. The fastest drug charge, booking, bail bond and jail location information is available to you. Call SCV Bail Bonds 24 hours a day, at toll-free, 877-422-4591. At SCV Bail Bonds, we’ve dealt with all types of drug charges – everything from simple possession to intent to distribute. Under the Influence of a Controlled Substance — This charge may start out as a misdemeanor and applies to people who have been arrested for using, or being under the influence of, illegal substances. Drugs like heroin, cocaine, methamphetamine, ecstasy and GHB are some examples, but this law also tags those who misuse prescription drugs like valium – if they don’t have a valid prescription. Conviction can carry a minimum penalty / sentencing of 90 days in a county jail. Possession of a Controlled Substance — Which is a felony to possess narcotics like cocaine, crack, heroin, ecstasy, and even un-prescribed medical drugs like Vicodin or Codeine. Anyone convicted of this charge can face up to three years in prison. Possession for Sale of Narcotics — Which is a felony to possess illegal drugs for the purpose of selling them. Sale or Transportation of a Controlled Substance — Maintains it is a felony to sell, furnish, administer, give away, transport or import narcotics into California. Many HS 11352 charge cases are the result of a decoy officer engaging in a controlled buy. Possession of Drug Paraphernalia — This charge is generally a misdemeanor. Basically, anyone who uses “an opium pipe or any device, contrivance, instrument, or paraphernalia for injecting or smoking a controlled substance” is in violation of this law. Those convicted can receive up to six months in jail. Possession of Methamphetamine — Anyone who possesses methamphetamine (meth, crystal meth or speed) is breaking the law. Whether an arrestee is charged with a misdemeanor or a felony depends upon the amount of the drug involved and his/her past criminal history. Manufacturing Drugs and Narcotics — Says it is a felony to manufacture, produce, and compound or process a controlled substance – provided the arrestee has actually begun the manufacturing process. (For example, running a meth lab). Violators can be sentenced up to seven years in a state prison — and that’s not all. The sentence will be harsher if large volumes are discovered, children are near the processing location, or somebody was injured or killed. Possession of Marijuana — Although Proposition 215 provides limited legal exceptions, like the use of medical marijuana, California marijuana law still maintains it is illegal to cultivate, sell, possess or use marijuana. The penalties for possession of a small quantity usually just entail a fine, but charges for growing, sale or transportation of marijuana are serious felonies that can often carry a prison sentence. Possession of greater than one of marijuana for a person’s personal use is a misdemeanor resultant in up to 6 months in jail and fines of $500 and probation if the defendant is found guilty of the charge. Possession of Hashish – If a person is caught with this concentrated derivative of marijuana they can be found guilty and face jail time. This can be either a felony or misdemeanor charge depending upon the circumstances. Sale of Marijuana – If someone is caught “in the act of the sale of Marijuana” and charged, they may face serious penalties including up to 4 years in a state prison. Line police and undercover detectives can testify they saw drugs being exchanged, as opposed to being used by one individual. If law enforcement finds a large amount of drugs, chances are those drugs were meant to be sold. Drugs inside even one plastic baggie may be enough to get an Intent to Distribute conviction – especially if there are multiple packages waiting to be sold. Electronic scales and other drug-measuring equipment is a good indicator the arrestee was preparing to sell drugs. The more money found lying around, the worse it looks for an arrestee. Voicemails, pagers, customer lists and cell-phone numbers/text messages often provide compromising evidence of Intent to Distribute. Some people that are charged with these types of drug/possession offenses for the first time can be offered what is called Proposition 36. This allows the accused to go to drug treatment for one year. An expert from the Department of Health will determine what the defendant’s level of treatment should be. Another program which is offered is Drug Court, which is a one-year program with counseling and random drug testing. Additionally, there is the Deferred Entry of Judgment program. This is a diversion program with 6 months of treatment while remaining arrest free for an additional 12 months. A criminal defense attorney can best provide you guidance with these programs and can work with you in gaining further information. If you would like further drug charge bail bond information, we invite you to contact us directly. You can also visit our Bail FAQ’s page. Remember: If you or a loved one is accused of a Marijuana, Drug / Narcotics-related crime, please speak to one of our highly qualified, licensed and caring SCV Bail Bond Agents. Call us anytime toll-free at 877-422-4591.